When one is starting out exploring the world of whiskey one inevitably turns to authors like Michael Jackson, Charles MacLean, Dave Broom, Robin Tucek. Of course, any list of whisky experts is incomplete without Master of Malt John Lamond. While the internet, smart phones and being connected 24/7 makes navigating the whiskey world easier, there is still nothing like the experience of reading a real book. 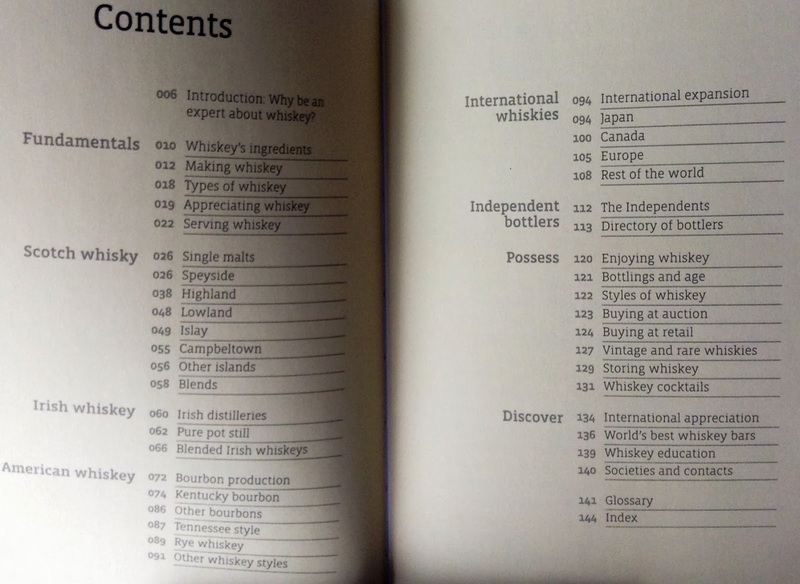 This is where Lamond’s book, Whiskey, published under Princeton Architectural Press’ “Instant Expert” series is a terrific addition (represented in Canada by Raincoast Books). …found in the west coast of Scotland where the fisherman would traditionally have a dram of malt whiskey with their oysters — not to the side but poured on the shell like we do today with Tobasco. Ardbeg’s make is the most heavily peated of all Scotland’s whiskies, at 50 parts per million. Its make has always been a favourite of Islay aficionados, but it was closed more often than it was open in the 30 years prior to being taken over by Glenmorangie in 1997.